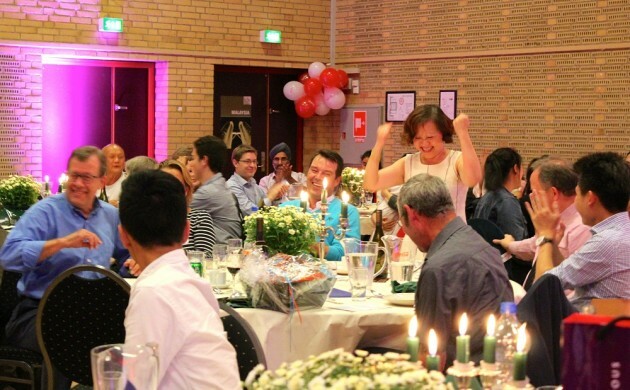 The Malaysia Danish Association (MDA) celebrated the country’s 58th independence day on September 5 with an evening of delicacies, entertainment and prizes. The food included satays, steamed fish, chicken curry and sumptuous Malaysian desserts – MDA chairperson Julietta Tan Nielsen (top centre) had the honour of cutting this year’s cake – while the entertainment consisted of a quiz about Malaysia and Denmark, various performances, some limbo rock and a karaoke session. This year the MDA (committee members Catherine Putzeys, Mona Wee, Tila Christiansen, Louise Lam, Su Qi, Sarah Balangalibun, Vindy Olsen, Peter Wee, Grace Yeong, David and Leo are pictured bottom centre) organised a lucky draw and donated part of the proceedings to a local charity organisation. The MDA is a small non-profit organisation that serves the small Malaysian community in Denmark. Most members are either married to Danes or working or studying in Denmark. The MDA aims to provide a support network through its events.